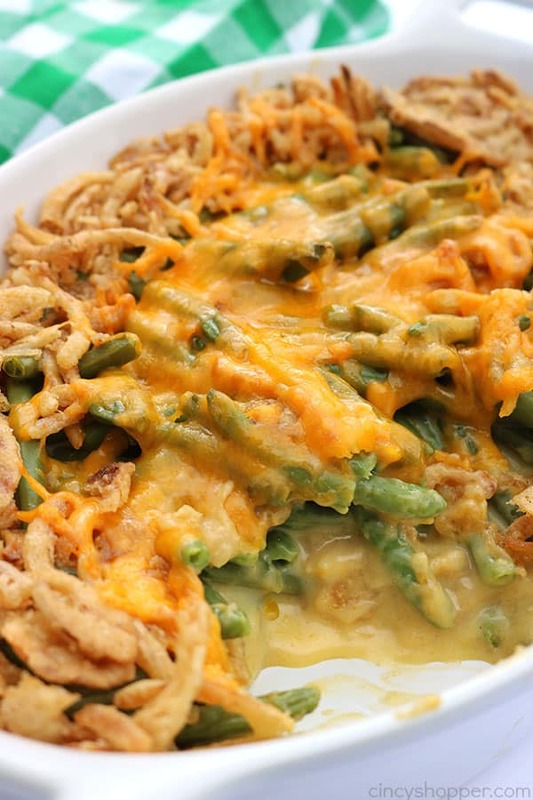 You need to add this Cheesy Green Bean Casserole to your holiday side dish list. Since it uses cheese soup instead of cream of mushroom, it is perfect for those who are not fans of the traditional casserole. 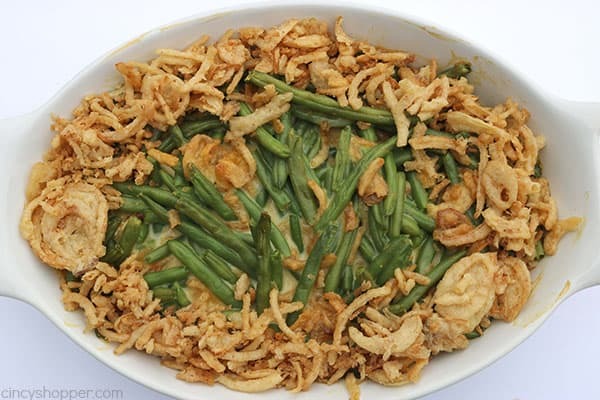 Every year, my kiddos are disappointed with our Traditional Green Bean Casserole that I make.They all love green beans but they are definitely not fans of mushrooms or cream of mushroom soup. 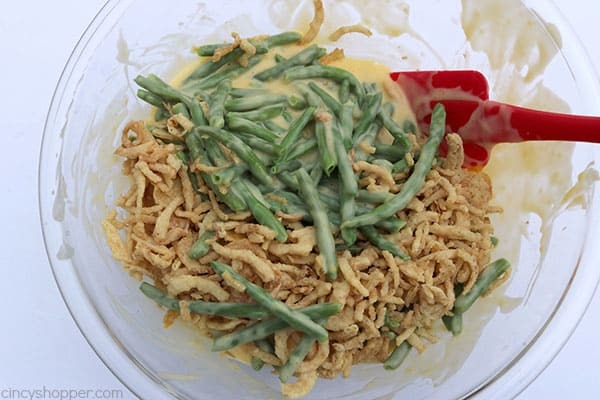 They wanted a green bean casserole with “no cream of soup”. This momma had to deliver. 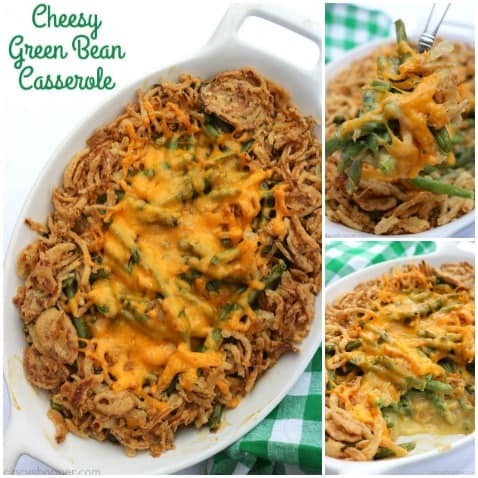 I have been testing some new side dish recipes this week for our holiday menu. I shared The Best Sweet Potato Casserole with you yesterday. It was a hit. 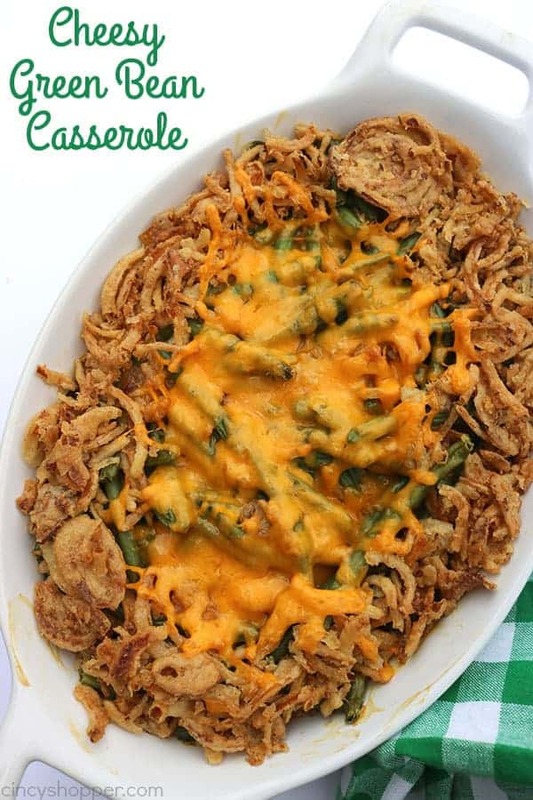 It will replace our Slow Cooker Sweet Potato Casserole this year. 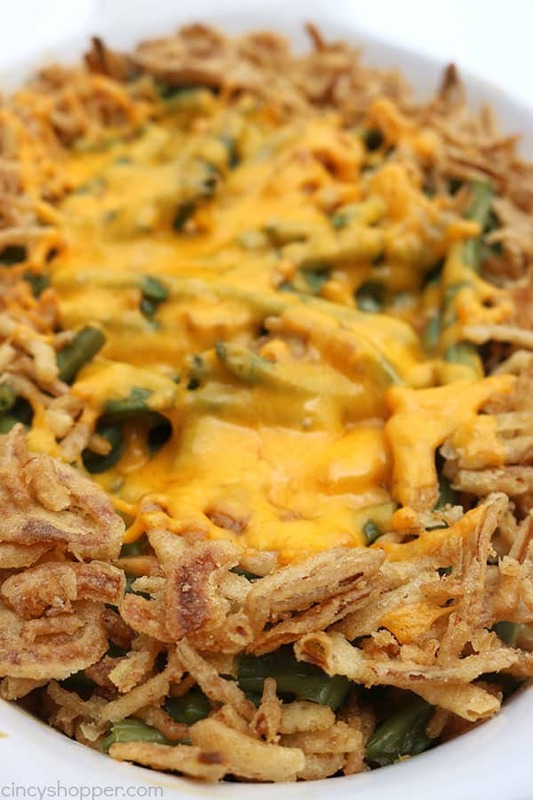 I decided it was time to come up with a new green bean casserole this year that the kids would actually eat. I came up with this awesome recipe. 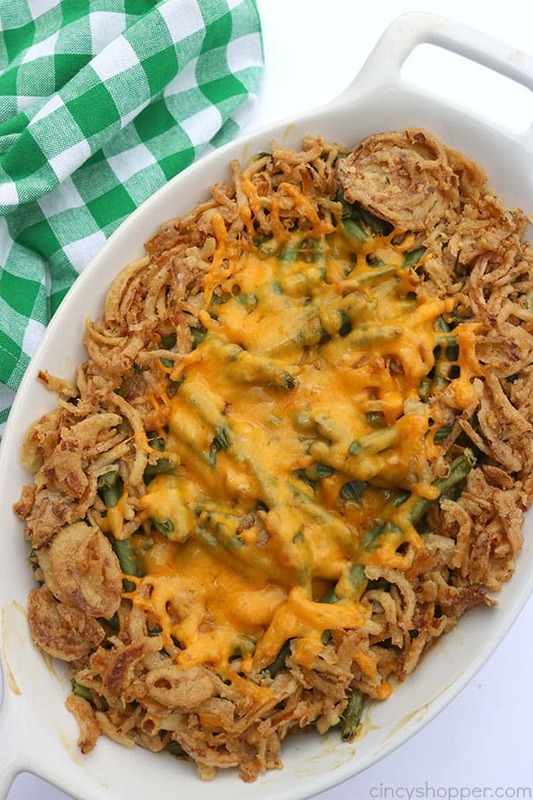 My hubby who is a HUGE fan of traditional green bean casserole was skeptical.He figured it would be “not that great”. But I wanted to please the kids and have a dish they would like too. It was creamy just like the traditional. 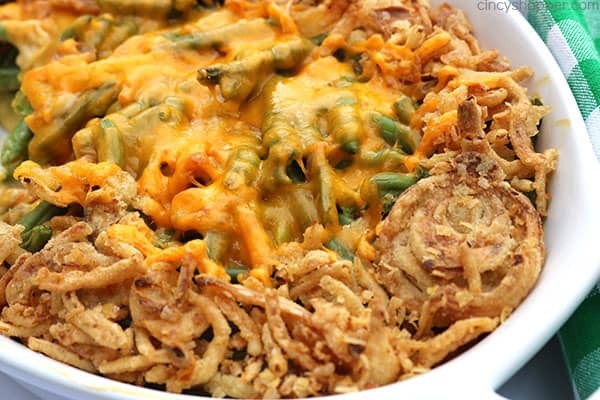 The flavors from the cheese and the crunchy onions really kicked up those basic green beans. The kids gave it a try at dinner last night. It was loved by all my green bean lovers. 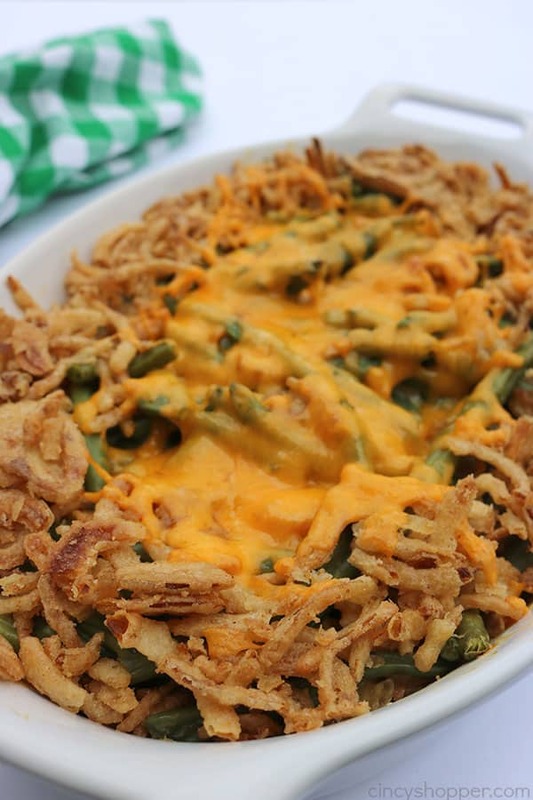 I am now super anxious to add this side dish to our Thanksgiving and Christmas dinners each year. A new recipe. A new tradition. LOVE IT! 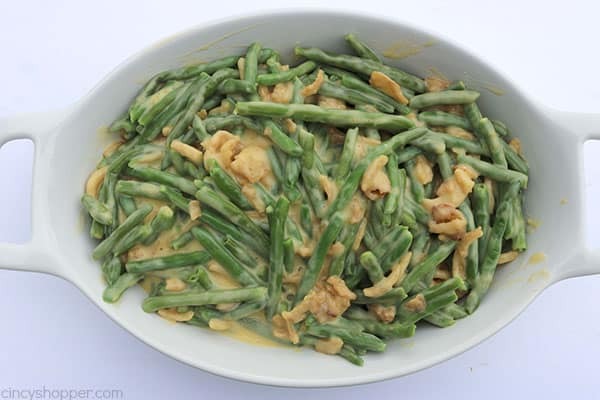 I used frozen green beans. 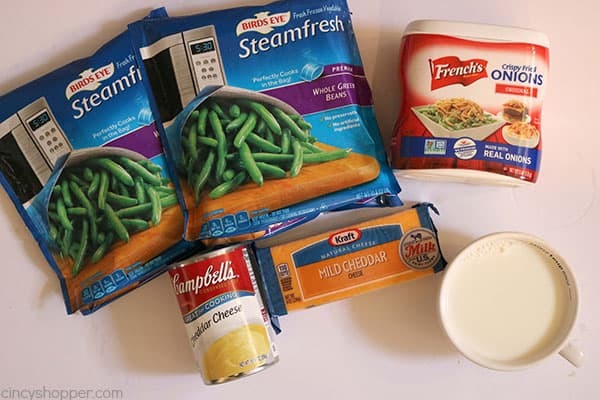 You could use fresh or even canned for this recipe. The cheese soup, milk, french fried onions, and some shredded cheese are all that is needed for this quick casserole. 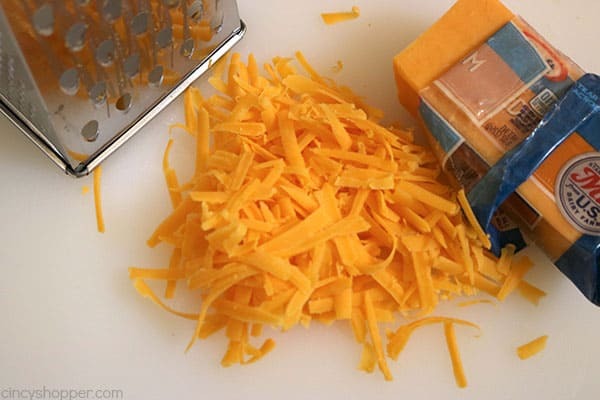 I shredded my own cheese so we wouldn’t add any grease like pre shredded cheese adds. Heat green beans according to package directions. 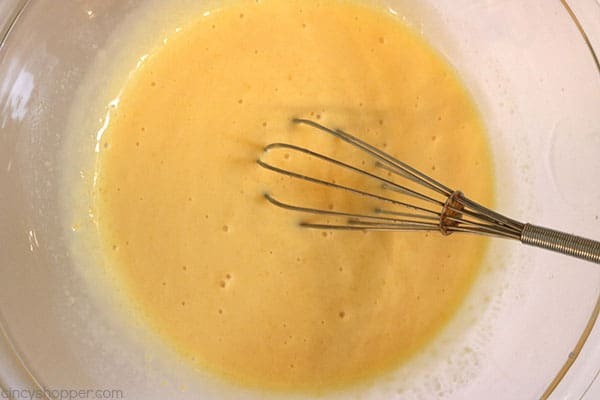 In a large bowl, whisk together soup and milk. 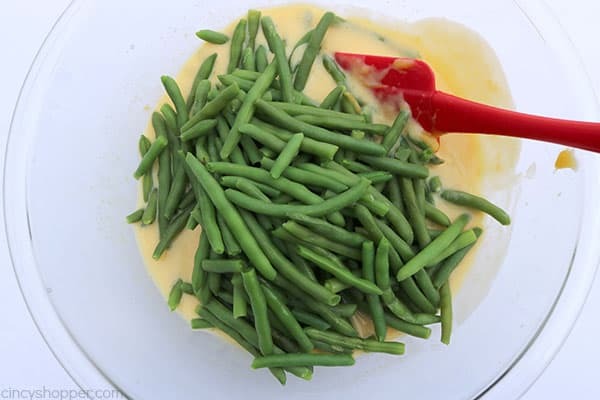 Add green beans and stir to combine. Add 2/3 or onions to bowl and mix to combine. Spread mixture into 2 quart casserole dish. 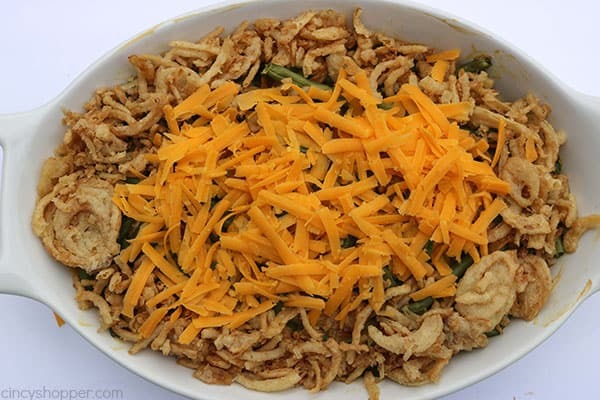 Top with remaining onions and shredded cheese. Bake for additional 10 minutes. 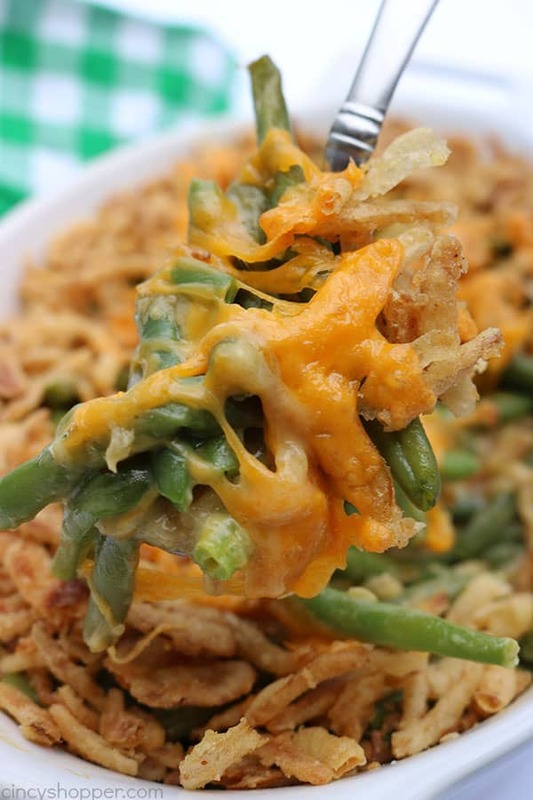 Do you have a twist that you use on some of your holiday side dishes? Do you think this could be made ahead of time?